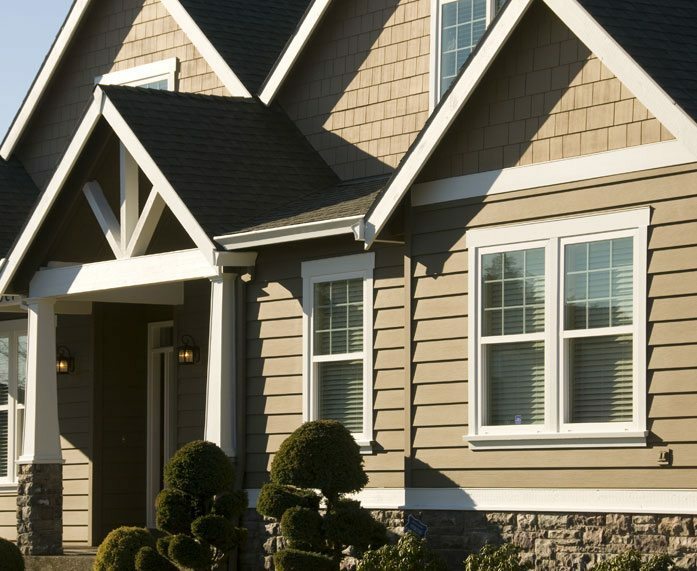 Fiber Cement Siding - Fiber-cement board is a composite of sand, cement, and cellulose fibers. It is stronger than aluminum and vinyl. It is naturally resistant to mold, mildew, and fungus unlike basic wood siding. It is fire and flame resistant. We remove old siding prior to installing fiber-cement board. This process can make it more expensive than vinyl and steel. Fiber-cement board comes in a variety of factory pre-finishes but also allows the customer to paint the product. Painting is an option with fiber-cement that is not available to steel, vinyl, and aluminum siding. Minimal maintenance of paint and cleaning may be necessary. Fiber-cement board comes with a limited 30 year warranty. Lower Energy Costs – Fiber cement siding is energy efficient. Engineered for long-term thermal performance it helps improve the overall efficiency of your home. 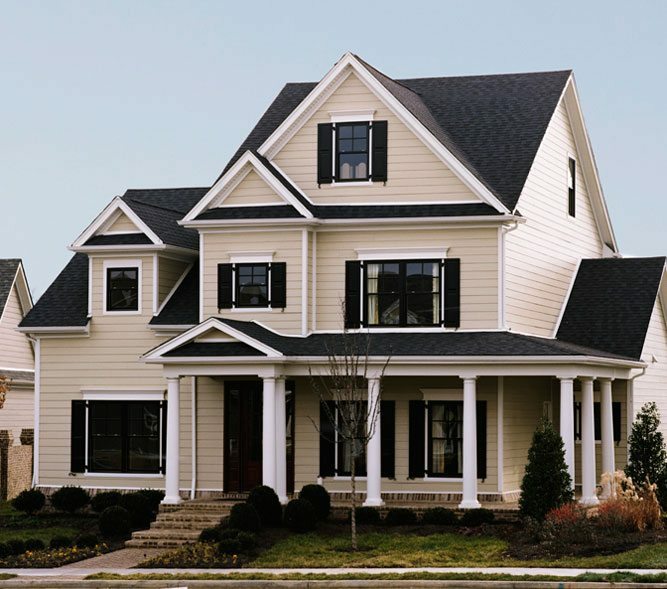 Maintenance – Fiber cement siding is resistant to mold and mildew. It can be painted unlike other types of siding like steel or vinyl. Cost – Fiber cement siding is priced in the middle tier, a bit more than vinyl but much less than wood or stone. Superior Construction – Fiber cement board is a composite of sand, cement, and cellulose fibers, which makes it stronger than aluminum and vinyl. Variety – Fiber cement siding is available in many factory and custom finishes and it can be painted to suit your specific needs. The best way to see what siding will work best for your home is to get a free in-home consultation, which you can schedule right now. Our certified consultants will show you different designs from many different manufacturers so that you can choose the best siding for the price that fits your budget. If you’d like to take a look at siding brochures from the manufacturers we represent just click on their logo below. . .